A reflection on mental and environmental health from the Ontario band. 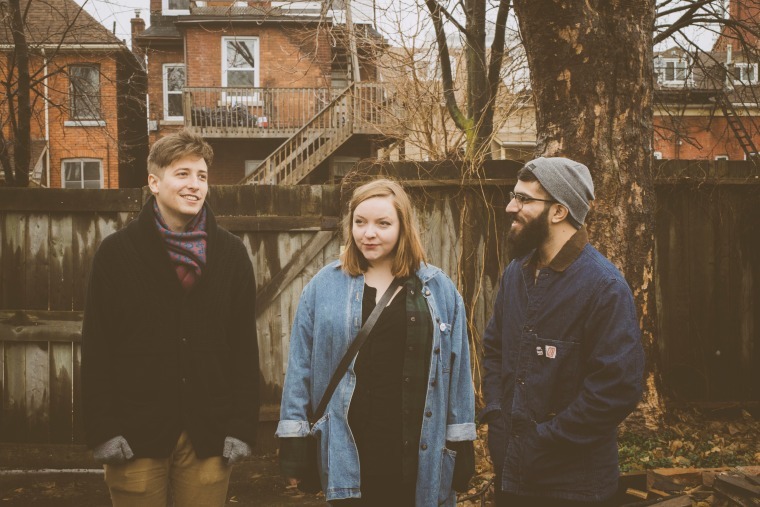 "Climb into my lungs/ There you'll find smoke rings like tree trunks," sings Chrisy Hurn, songwriter and guitarist of Ontario trio Basement Revolver, sweetly on their wistful new single "Tree Trunks." Lush with dulcet reverb, the song, which is from the group's forthcoming Agatha EP, out July 21 on Yellow K Records (U.S.) and fear of missing out records (U.K.), parallels the health of the mind and the heart with the earth — "this sacred land" needs caring for, Hurn implores. "'Tree Trunks' was written when I started experiencing panic attacks for the first time, and my increasing need to find a professional who could help me to find better ways to cope," Hurn wrote to The FADER over email. "It also tries to mirror how I imagine the environment feels sometimes — and how the environment is tied to many people's mental health. I was very fortunate to find the help that I needed and I would encourage everyone to go after the mental health resources that are available to them." Listen below.